Tube / Metro: Nearest Tube is Richmond. Bus: Buses from Richmond Train Station:33, 490, H22, R68, R70. Alight at Marble Hill Park. Train: Nearest train stations are St Margarets and Twickenham. 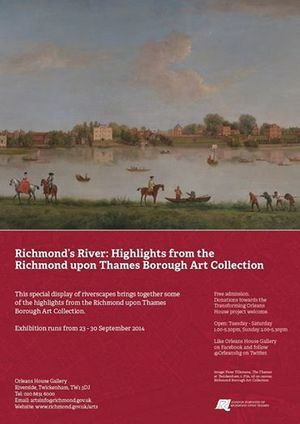 Stroll along a peaceful riverside road into secluded woodland gardens, to find a stunning 18th century interior design - and the principal art gallery for the borough of Richmond upon Thames. Orleans House has a rich and vibrant history, from the baroque Octagon room, which was designed by renowned architect James Gibbs, to a main gallery which hosts five temporary exhibitions each year - ranging from the historical to the contemporary. We attract over 56,000 visitors annually. The Stables Gallery, is housed in evocative 19th century stables buildings and stages approximately seven contemporary and community exhibitions a year. 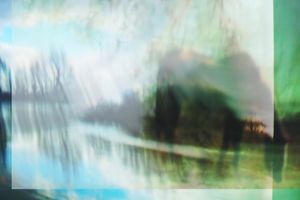 Visitors of all ages can try out their own artistic talents in a pre-booked workshop, or to soak up more history, Marble Hill Park and Ham House are nearby. Finish off with a coffee at Karmarama Café (Wednesdays to Sundays) in the North Stables at the rear of the Gallery. All of these amenities can be easily reached from London and the South East by road, rail, or even by boat.